Welcome to the second Writing Prompts by Digital ArtLords. Bi-weekly we’ll add a new image to the list of writing prompts. This weeks Writing Prompt features Gary Laib’sintriguing illustration Cuppa and Potta . Tell your story. 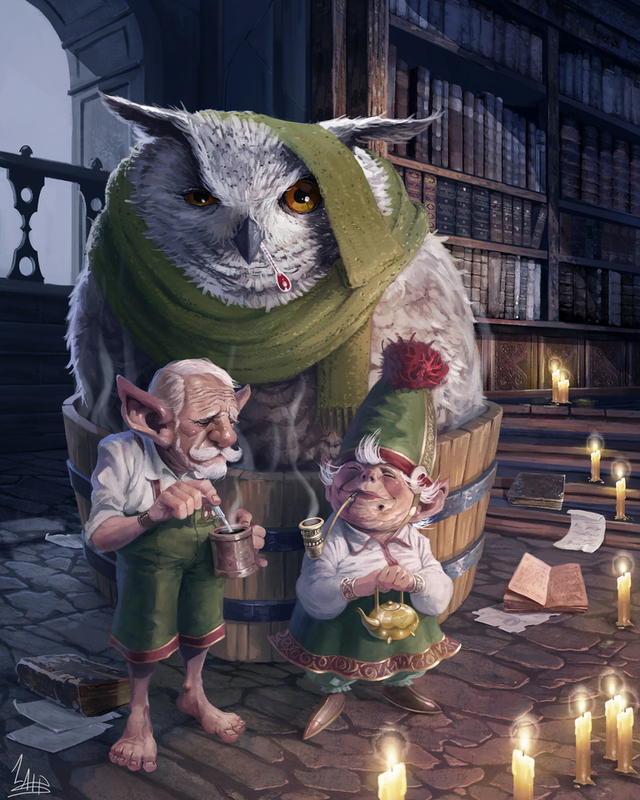 Do gnomes really know how to properly medicate giant owls? Or how did an Owl that big got sick in the first place? Let your imagination soar as you write a story inspired by the image.